Lock in a great price for Putahracsa Hua Hin Resort – rated 9.1 by recent guests! A very well managed hotel property with very good staff. Everyone was very welcoming and accommodating. Keep it up. The room is large, clean and bright as white decor. It's feel very cozy. The breakfast was very good, many kind of food provided with great quality. And also the location is nearby many restaurants by walk. Great experiences. The staff were superb and very hospitable. The rooms were clean and furnished nicely. It is one of the finest properties I have stayed in this region. Classy. The location is great, very peaceful considering you're so close to the center. Not sure I'd have been happy staying in one of their private pool villas though (which we originally wanted to book, but weren't available ) as not private and extremely close to the bar and restaurant. Every staff we met was very hospitable and had great service mind. The facility is beautiful and provides perfect ambience for relaxation. Decoration and amenities have thoughtful details. Love the 3 pools around the property. The food was delicious. Breakfast has a lot of variety of premium food e.g. DIY juicer, cheese, cold cut, egg benedict, etc. Putahracsa Hua Hin Resort This rating is a reflection of how the property compares to the industry standard when it comes to price, facilities and services available. It's based on a self-evaluation by the property. Use this rating to help choose your stay! 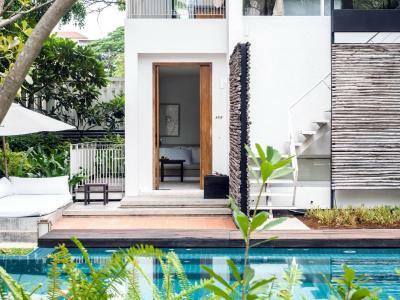 One of our top picks in Hua Hin.A 5-minute drive from Hua Hin Night Market, Putahracsa offers individually designed units with minimalist themes, free Wi-Fi and flat-screen TVs. It features a spa, infinity pool and 2 restaurants. Minimalist-themed accommodations at Putahracsa Hua Hin features unique layouts and neutral colors. 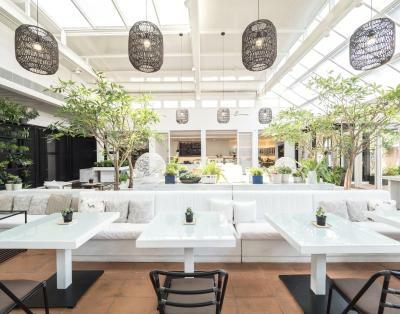 They have a private terrace area with outdoor seating and views of greenery or the pool. 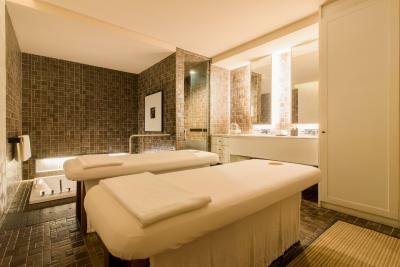 Guests can indulge with relaxing massages at Putahracsa’s day spa or enjoy quiet moments in the resort’s library. Other leisure activities include hiking and golf at a nearby course. Hua Hin Putahracsa also provides free private parking. The sound of waves and cool sea breezes accompany grilled dishes at Oceanside beachfront restaurant. 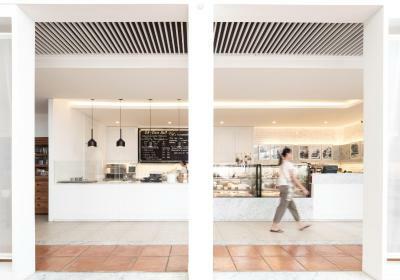 Ob-Oon Boulangerie et Patisserie offers buffet breakfast and all-day dining of international dishes as well as a fine selection of baked goods, pastries and exotic coffee & tea. 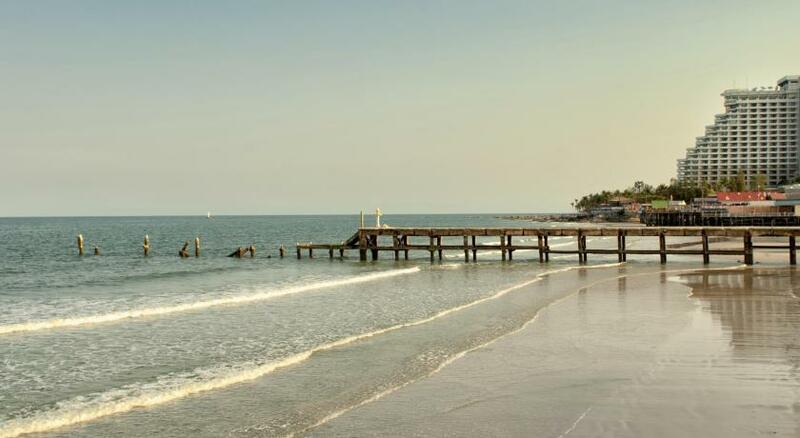 뀐 Located in the top-rated area in Hua Hin, this property has an excellent location score of 8.9! 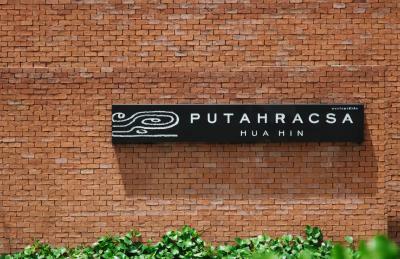 When would you like to stay at Putahracsa Hua Hin Resort? Located in the two-story building, this nature-themed Silksand room is surrounded by lush gardens. Guests staying on the ground floor have easy access to the swimming pool, while those staying on the upper floor can make use of the bathtub. Capturing the personality of Hua Hin and the resort itself, this spacious Sansky room features a living patio and is decorated with classic work of art and natural materials. 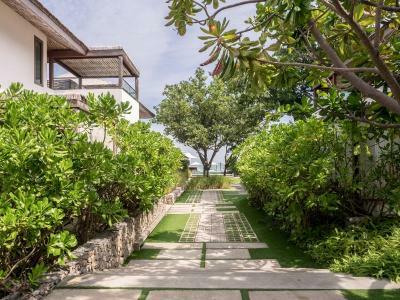 Located on the upper floor (including one on the ground floor) of the Putahracsa beach villas, this Oceanbed suite features a large bedroom with a private terrace, sun deck, rain shower and an outdoor spa bath for maximum privacy. Located next to the lush greenery of Putahracsa beach villas, this Oceanbed suite features a large private pool attached to the outdoor spa bath with spacious terrace and sun loungers. Boasting an urban bright design and located on the upper floor of the resort's oasis pool houses, this airy Sansky room features a spacious walk-in closet and a balcony where view of the swimming pool can be enjoyed. This La Canna villa features a private pool and a sun deck attached to the bedroom. An ample walk-in closet, an in-villa spa bath and a steam room as well as personalized butler service await guests at this villa. Located on the beachfront area, this La Canna villa features a private pool, a floating sofa terrace and sun lounger area. Personalized butler service awaits guests at this villa. 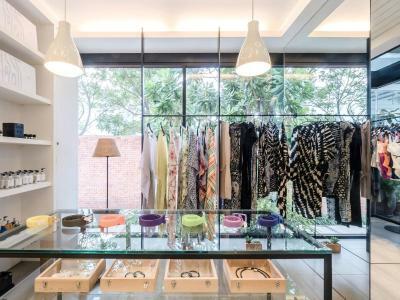 House Rules Putahracsa Hua Hin Resort takes special requests – add in the next step! Putahracsa Hua Hin Resort accepts these cards and reserves the right to temporarily hold an amount prior to arrival. Please note that the resort has two main areas on the different sides of the road. Please note that room rates on 31 December include a gala dinner. Beverages are not included in the rate. Extra guests will be charged separately. Not much, it was nice. you have to cross the street to go to the beach which is unsafe for little kids and not convenient to wear beach outfits walking across the street. Location, service, cleanliness. Very good and comfortable stay. Nice swimming pool. Delicious breakfast! Our second stay,breakfast is amazing the staff can't do enough for you.May at the front desk is amazing,when our transport didn't turn up she went out of her way to organize it for us. the reception staff asked me at check-out to pay the empty bottle of mosquito repellant that was provided to the customer in the room and which we had left empty at the restaurant. There should be some No Smoking signs by the pool. On check-in guests were advised smoking was only permitted on their balconies/patios but some smokers lit up by the pool anyway. Otherwise, everything was perfect. The resort is beautiful with three gorgeous pools. Breakfast was fabulous offering everything you would ever want. Nice setting for Happy Hour at the beach. Staff was most friendly and helpful in the restaurants, bar and at the pool. Nice gym available for workout. Mid-morning pool refreshment offered every day was a treat, as well as cold water several times each day by the pool. The hot water at the outdoor jacuzzi doesnt even work. It is terrible and they cant fix it. We pay extra price for the facility outdoor that is extra but turns out not functional. There is also staff noises nearby jacuzzi and outdoor swimming pool making it not private at all too. Only that our stay wasn’t long enough!! Beautiful location. Big comfy beds. 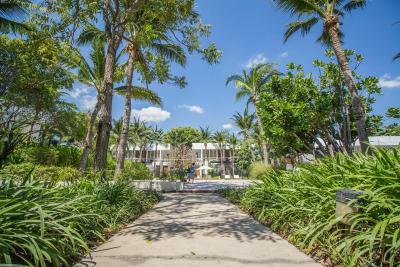 2 beautiful pools, bar located right next to beachside pool.